I am all about a statement accessory and there is no reason this can’t be extended to your clothing or even your luggage! These are my top picks to make sure your outfits pop and sizzle this summer. eggception (get it?! ), this is the perfect crop for those of us lacking in the chest department…and even those who aren’t! ASOS have released their handmade sunglasses collection and I think I need them all, there are so many amazing cat eye frames but this scalloped edge pair reminds me of ice cream so they are at the top of my wishlist. After seeing the amazing Sara Sboul on the arm of my girl Betty I fell head over heels. Her designs are perfectly eccentric and she uses amazing techniques to construct these miniature works of art. House of Hackney prints are something to covet and now that they’ve collaborated with Globe Trotter to create some beautiful luggage! I love the vintage look of the suitcases and the amazing internals are just a plus point, getting luggage that matches my house is a totally reasonable thing to do right? 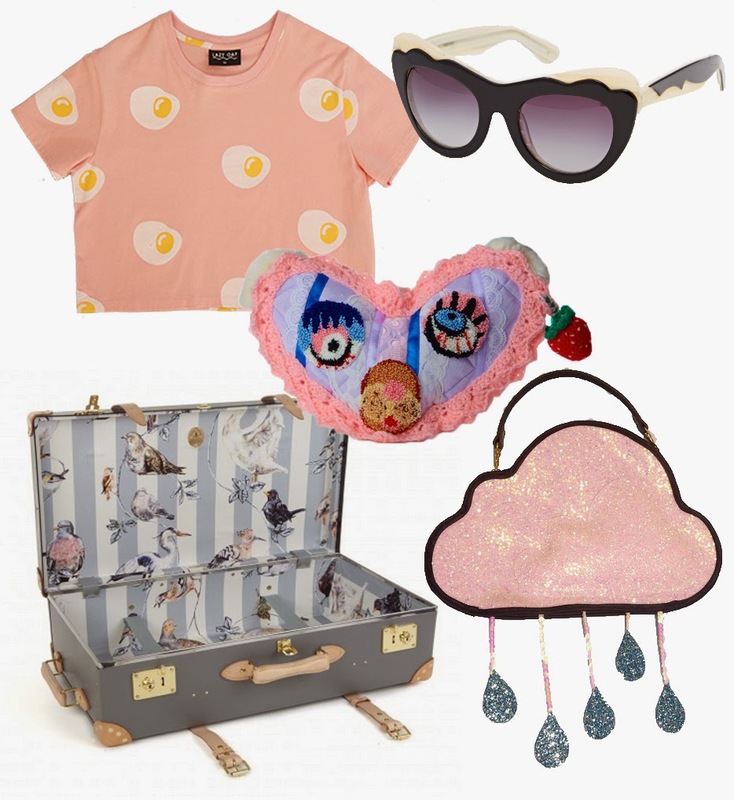 A pink cloud handbag…I don’t think I really need to say much more! Turn up to a wedding with one of these babies and you’ll be the talk of the wedding, after the bride of course.